We are lucky to have brave men and women who choose to become police officers! 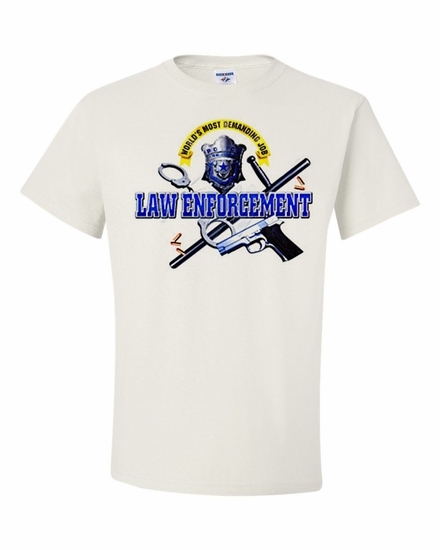 Show your thanks and appreciation with our World's Most Demanding Job-Law Enforcement t-shirts and sweatshirts, along with a World's Most Demanding Job-Law Enforcement coffee mug. Remember� you found the World's Most Demanding Job-Law Enforcement Shirts at TShirtHub.com, where high quality came at a low price.